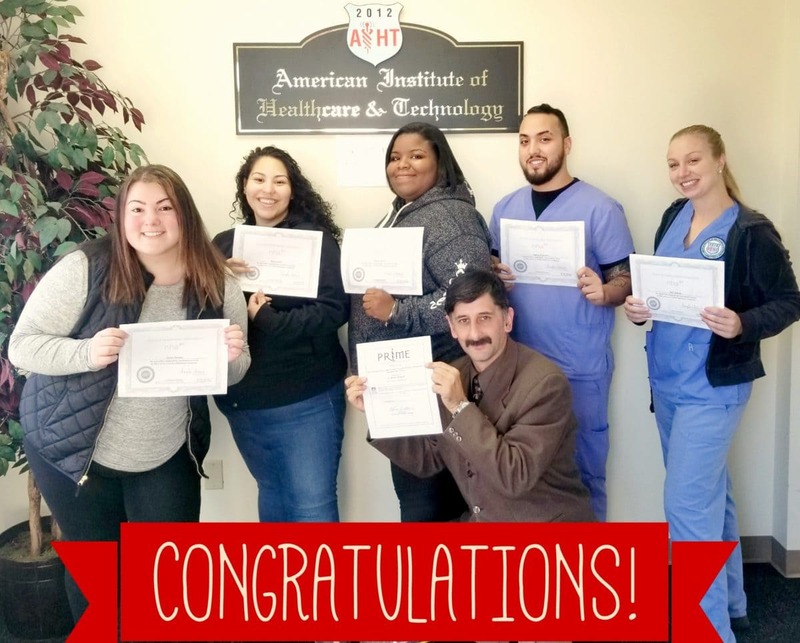 Congratulations to the AIHT Students that passed the National Healthcareer Association Phlebotomy Technician Certification exam Friday, October 27th! Phlebotomy Technicians are critical team members at hospitals, diagnostic laboratories and blood donor centers. The primary task in a phlebotomy technician’s career is to draw blood from the patient’s veins by using a needle and a syringe. As advancements in medical technology rise, it’s an especially exciting time to begin a career in this thriving field. Earning your Phlebotomy Technician Certification (CPT) certification from the National Healthcareer Association can give employers confidence in your skills and abilities. Interested in pursuing a career as a Phlebotomist? Learn more about AIHT Phlebotomy program by scheduling a visit or call 203-870-8400.